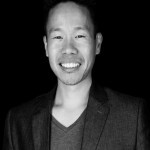 My guest Christopher Kai is an entrepreneur, bestselling author, international speaker and most important, a tireless homeless youth advocate. He helps entrepreneurs build their businesses one relationship at a time. He has worked with Fortune 500 companies like American Express, Microsoft and New York Life and notable nonprofits like the Milken Family Foundation. As a speaker, he has given over 1,000 speeches and workshops to a global audience from more than 30 countries. Christopher has just published his third book, “Big Game Hunting: Networking with Billionaires, Executives and Celebrities.” He is also a member of METal.